Worried about whether are not protein is the right way to look at weight loss? Then you are in the right place. This protein diet roundup gets you there. The protein diet is packed with weight loss for women that have been the old standstill in losing weight. With diet plans that don't take away your freedom to eat giving you healthy option for getting slim, there is no other diet you want to be on. How do I lose weight with protein? Whether you are looking for a way to turn your love for drinking protein shakes into a real diet helping you get slim or you need advice on how to balance your diet starting with protein, you are in the right place. There is no better time in your diet to start thinking about ways to make weight loss work for you than now. The Protein Diet gives you a strong base in nutrition and more than many choices to choose from. In this daily roundup of Slism, we present a great resource for dieting on protein including diet plans and nutritional tips to get you weight loss program running. Even if you are not looking to get ripped, drinking protein shakes helps out your diet by preventing complications caused by lack of protein in your diet preventing you from putting on muscle mass necessary boost your metabolism to keep the fat off. Although drinking a shake made with protein powder doesn't serve as a complete meal replacement, it serves as a great supplement helping you get more nutrition in your diet with little added effort. 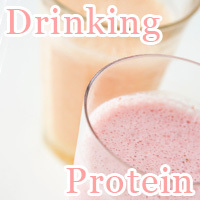 Drinking protein is making counting your daily intake easy. No need to worry about not getting enough protein in your diet. 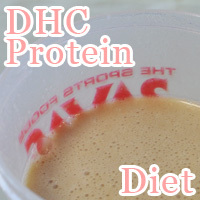 Review of a protein shake big in Japan called DHC Protein Diet made by DHC a company that has already reinvented antiaging in skincare and food promoting healthy weight loss. The review features flavors from strawberry, coffee, milk tea, and much more. Unlike most protein powder, DHC Protein Diet comes packaged in individual pouches eliminating the need for measurements before mixing. Along with being a great source of protein, it contains extra nutrition that makes it suitable for meal replacement. It may not taste as good a milk shake but after drinking a cup it leaves you with a sense of fullness that when combined with the time-saving ease it brings to your diet losing weight is not a dream. Many people think drinking protein is only for the girls that lift with the big boys. That's not necessarily the case when you are on the Protein Shake Diet where you are able to cut back your per meal calories down to as much as 200 calories. Something is better than starving. 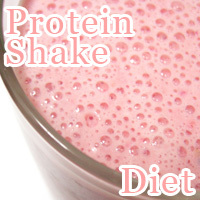 When you are looking to lower calories in your diet try drinking a protein shake for breakfast or lunch to get you by. With so many different flavors of protein you are bound to find something for you. On top of helping you reduce calories in your diet, drinking protein help you get the protein you need to make losing weight easier with amino acids you need to burn fat faster. Eating meat is not bad for you even if you trying to lose weight. On the All Protein Diet you can greatly lower your carbohydrate intake while still attaining a sense of fullness while allowing you to step towards fat loss strengthening your metabolism. 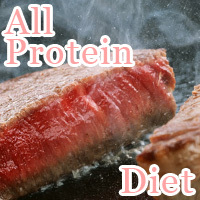 There are only 3 rules to the all protein diet that make it work. First, you need to eat low fat sources of protein. Second, keep your carb intake down to a minimum. Lastly, follow rule 1 and 2 three meals a day. That's all! A diet on mostly protein is said to great for getting rid of unwanted fat around your body. With less carbs, you can get lean slimming down your body. 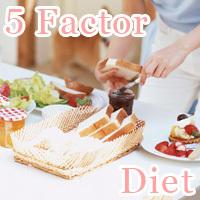 Low-Gi and eating high protein foods is what the 5 Factor diet is all about. If you want to get the same results as Lady Gaga, Jessica Simpson, or others who say that this dies can help you lose 10 pounds in a month without restrictive rules. First off, you are going to want to eat 5 meals a day. If that isn't enough, there are also 5 rules to follow when choosing what to eat. In fact, this is the way it's going to be on the 5 factor diet. If you don't have anything against carrying out your diet with so many fives in it, then this diet may be your next best guess for weight loss. The nutrition you are going to need to keep your weight down eating a balanced diet involves getting both macronutrients and micronutrients your body need to keep on doing what it does best keeping you looking good. Essential macronutrients such as protein, carbohydrates and fat keep you moving providing your body with calories it needs to run. The balance of macronutrients you give your body is important. Micronutrients or nutrients in general, such as B vitamins, dietary fiber, iron, and calcium, play an important role in your diet especially in weight loss. Although cutting back on the amount of fatty meats in your diet may seem like a good way to go low calorie, doing this may result in a lack of protein in your diet that can potentially harm your chances of losing weight. When you lack protein in your diet you risk having your muscle fibers metabolized by your body to make up for the difference. This can cause loss in muscle mass that slows down your metabolism. 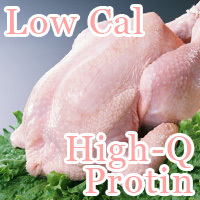 Being smart about your protein consumption starts out when you pick out high quality protein such as lean meat. In addition to improving the quality of your meals this helps you but back on calories. There is more to protein than the amount of grams you get in your body. In addition, to reaching the daily recommended intake of protein you need to get a full portfolio of amino acids. 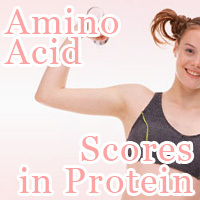 The quality of proteins in your diet can be determined by their respected amino acid score. Foods such as chicken, pork, and beef give you a complete source of amino acids in your diet. In addition, dairy and soy products come close. Just because the food you eat doesn't have an amino acid score of 100, doesn't mean that there is no hope. Combining foods like rice and beans not only make an affordable solution to just eating red meat but gives you all the amino acid you need in protein. No diet would be complete without the 3 powers of soy making it so much easier to lose weight eating right. When you are looking for the best results from your diet, you may want to look into the benefits of soy protein, lecithin, and saponins in your diet. Eating soy protein is said to be effective in reducing cholesterol, triglycerides, and even body fat. By removing fat in your blood stream, you are less likely to suffer from circulation related health complications. Soy lecithin has an amazing effect on your health. In addition to helping you reduce body fat, it is said to be good at reducing visceral fat such as that stored away in your liver. 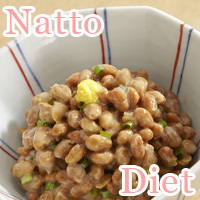 Japanese diet fanatics agree that eating natto is good for you. Just 1 pack a day and it is possible to benefit from fermented soybean nutrition helping you to black fat the natural way effectively boosting your fat burning metabolism. 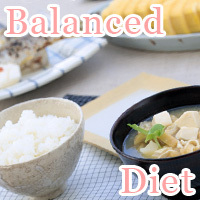 On top of allowing you to reduce the calories in your meal, natto gives you polyamine and vitamin K that is said to increase the longer you put off eating it. 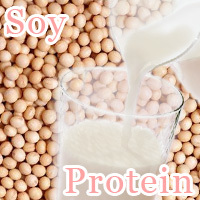 Soy protein contains adiponectin helps with breaking down fatty acids. Soy saponins and isoflavone help you prevent obesity and balance your hormone levels. If you are not getting enough vitamin K2, the taking up the natto diet help put you over the recommended value. Is taking protein making you bulk up like a bodybuilder? That shouldn’t be the case if you exercise simple tips about proteins that turn your muscles into tools to help you lose weight and keep it off. Put your bulk to work. 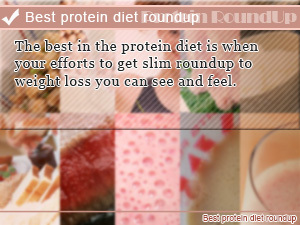 The best in the protein diet is when your efforts to get slim roundup to weight loss you can see and feel. 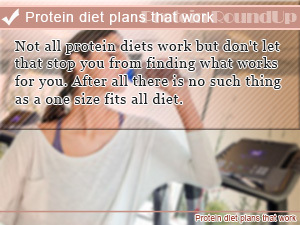 Not all protein diets work but don't let that stop you from finding what works for you. After all there is no such thing as a one size fits all diet. 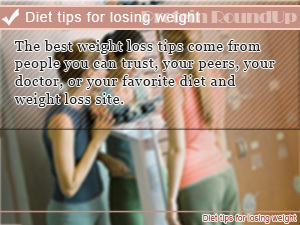 The best weight loss tips come from people you can trust, your peers, your doctor, or your favorite diet and weight loss site.